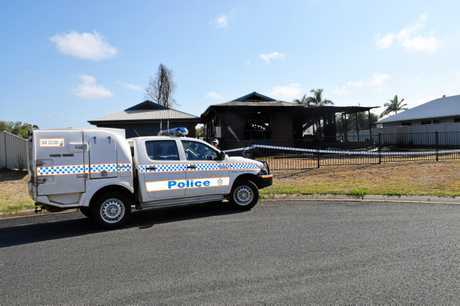 UPDATE 9.30am: A FIRE that gutted an Emerald home has been deemed non-suspicious by police investigators. A QPS spokesman said crews were still on scene this morning trying to determine a cause of the fire, but they ruled out any foul play. New photos show the extent of damage to the destroyed Emerald home including fallen walls and a caved in roof. 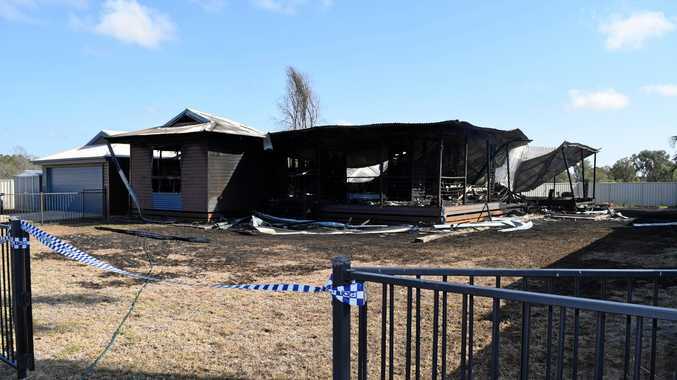 BREAKING: POLICE are investigating a large blaze that destroyed a Central Highlands house overnight. Queensland Fire and Emergency Services were called to the Emerald home around 11.30pm to reports of a house fire on Downs Ct.
On arrival, the single storey home was fully engulfed in flames with all people accounted for. A spokesperson from QFES said five crews battled the fire for more than two hours, but it was contained around 12.15am. Crews remained on scene to dampen hot spots until around 2am before leaving the scene in hands of police. 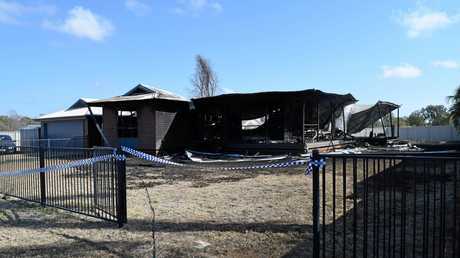 The remains of the timber and hardy-plank home was declared a crime scene by Queensland Police Service around 2am. A QPS spokesperson said investigations would continue this morning with scientific crews expected to attend today.